What is Rainbow Honey? 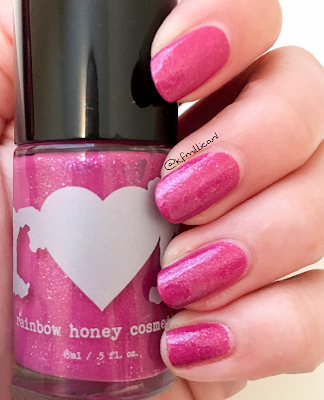 : Rainbow Honey is a monthly nail polish subscription box where you get not only nail polishes, but you get random beauty things (soaps, scrubs, oils, etc) as well! There's a mini version and a full-size version, so you can choose how much you want. The bags are the same, but the mini bag has mini polishes while the full size one has full sized polishes. There's also bigger extras in the full size bag and sometimes there's an extra. 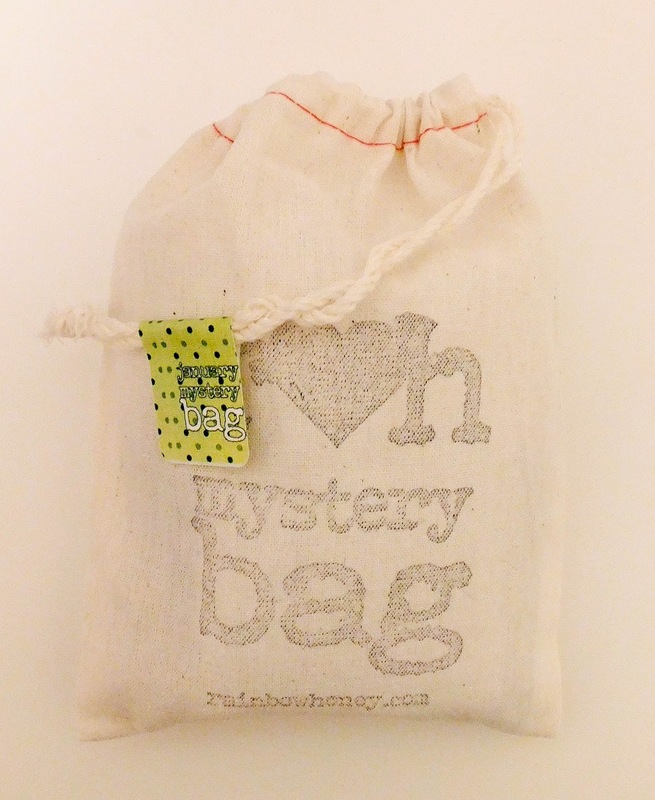 The polishes and products you get in the Mystery Bag are ones that will be debuted in future collections, so it's a great way to see what is coming up next! How Much is Rainbow Honey? : Rainbow Honey is $10/month (plus $2.95 shipping) for the mini bag and $25/month for the full size. You also don't have to pay shipping for the full size bag. If you want to see past bags, be sure to click here! 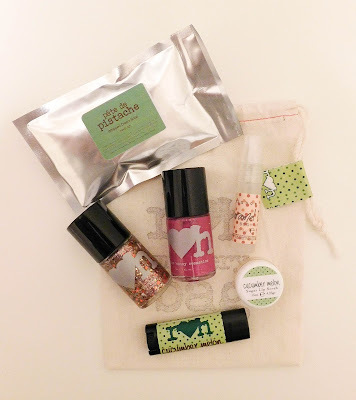 The January bag brought two full sized polishes again, rather than three minis. I haven't seen any update about if this trend will continue or if the minis will come back, but I'll let you know soon! Planet M Nail Lacquer - A bursting magenta creme gleaming with sparkling shimmer inspired by a newly discovered magenta exoplanet (about) 57 light years from Earth! Imagine living in pink from dusk till dawn? We sure can! 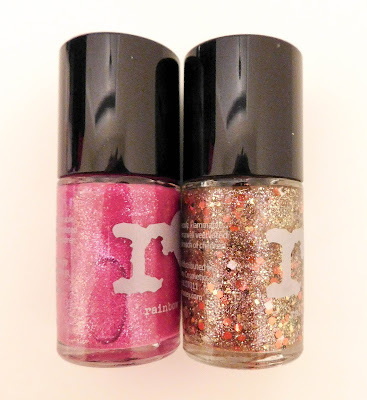 Planet M is coming soon with many friends from the return of Galaxy Nails this summer! Planet M, swatched with two coats with glossy top coat. It applies smoothly and is a great magenta. Surprisingly, this polish didn't stain at all - which is amazing for a polish shade so bold. There's just enough shimmer in it to set apart, but not so much that it takes away from the beauty of the cream. 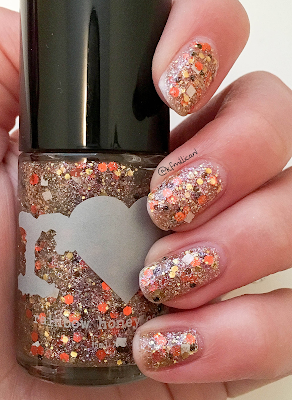 Caramel Forest Glitter Topper - Find your way to caramel land through this forest of magical glitters in a clear base, packed with silver and magenta shimmers! Caramel Forest is part of our upcoming Magic World Collection coming later this year! Glitter bomb anyone? Oviously, Caramel Forest is supposed to be a topper, but I always like to see how they look alone. This one looks good, but it definitely would take far too much polish to make it full coverage. It would be perfect over a white or a brown, and all of the colors of glitters are perfect! 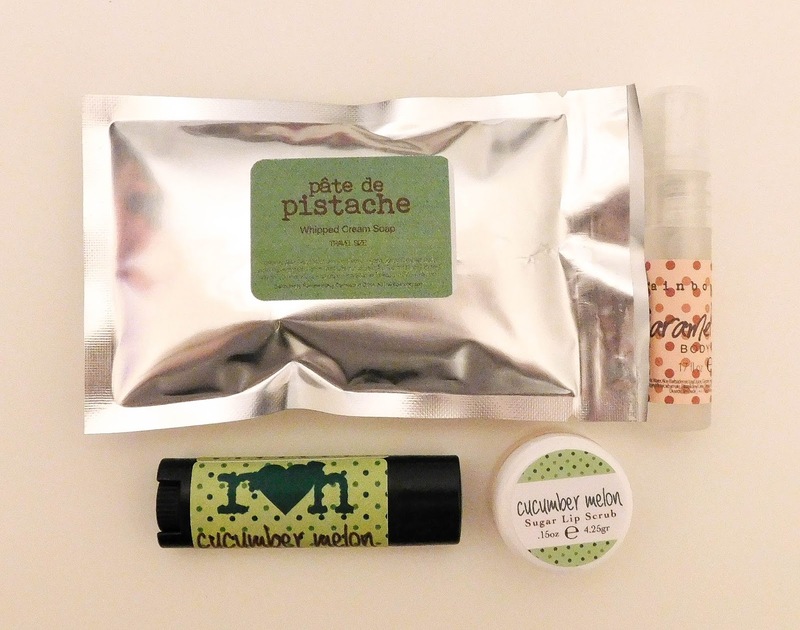 Whipped Cream Soap (pate de pistache) - Meet the newest addition to our bath care line! This luxurious and versatile whipped soap melts into luscious and foamy fragrant bubbles for all over happiness! The creamy formula in our whipped soap also provides a thick and moisturizing layer on your skin for all of your shaving needs as well! Our Whipped Cream Soap comes in a variety of our popular fragrances and colors! This is such a cool product, but I admit I had no clue what to do with it at first. I'm not a huge fan of pistachios, but this definitely does smell really nice and feels very moisturizing. Caramel Forest Perfume Mist - Enjoy our light and airy body mist formula with Caramel Forest! A sweet and woodsy blend of dulce de leche with a twist of earthy tones! Caramel Forest is part of our upcoming Magic World collection! Our moisturizing body mist is formulated to refresh your skin and hair, and is alcohol and paraben free! Definitely woodsy/earthy, that's for sure. I don't know if I would wear it as a perfume, but I might throw it on my hair to freshen up the smell slightly. Lip Care Duo: Cucumber Melon Nourishing Lip Balm & Sugar Lip Scrub - Our beloved lip balms and lip scrubs are all coming together under our new JUST LIPS line! All of your past favorite flavors along with many new ones will make their debut next month with matching lip scrubs and new lip care products! This month's mystery bag features a classic and fresh fave, Cucumber Melon! A duo after my own heart, Cucumber Melon! Cucumber Melon was one of my favorite flavors (scents?) from Bath & Body Works, so I was instantly in love as soon as I got the bag! I'm in love and I can't wait for try some more products for Just Lips! The January bag was most definitely amazing and packed full of all new things for me to fall in love with, and announced a ton of new releases to look forward to! I'm especially looking forward to seeing what else is going to be in the Galaxy Nails line!